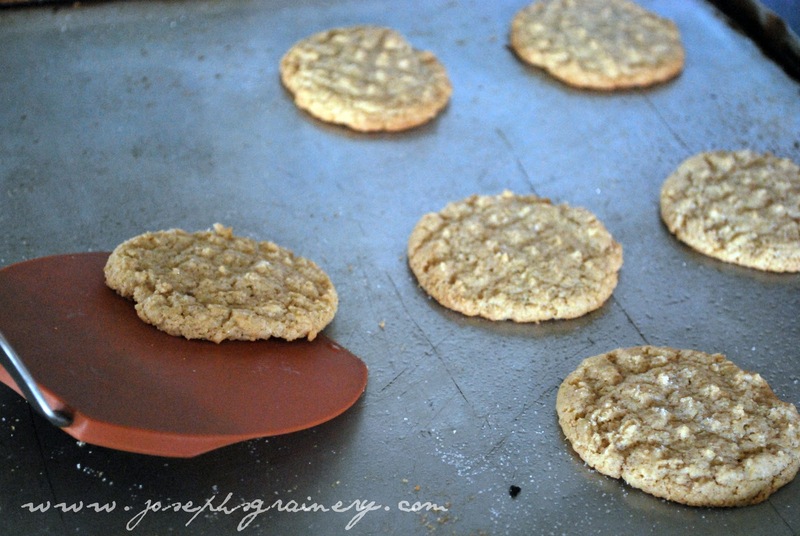 You can have these Whole Grain Peanut Butter Cookies in the oven in 5 minutes...I know, MaMa did it and I timed her using my stopwatch (I learned what a stopwatch is from Franklin the Turtle ). 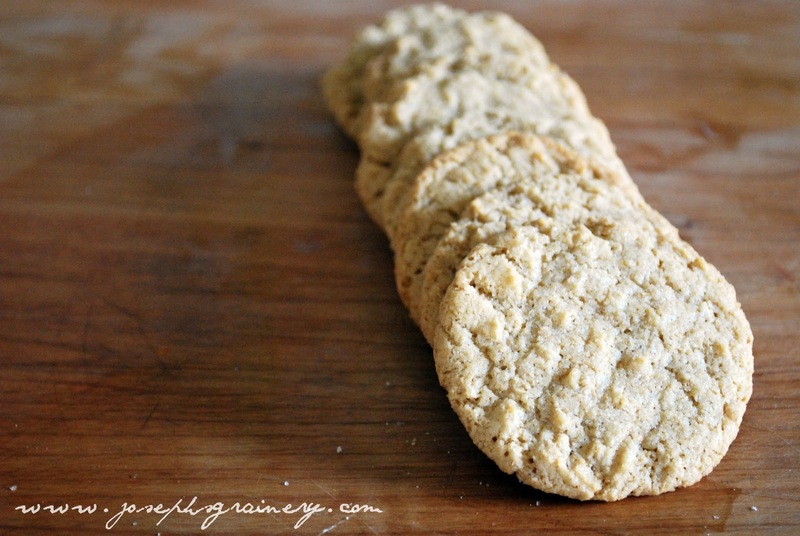 These Peanut Butter Cookies taste so good you'd never guess they were so easy to make. Directions: Preheat your oven to 375 degrees. In your mixer, combine the butter and peanut butter. Using the wire whisk attachment cut the butter/peanut butter mixture into the Cookie Mix Base until it resembles fine crumbs. Add the sugar, then an egg and finally the vanilla. Mix on low speed for about a minute, until the dough comes together and forms a ball. Using your cookie scoop, drop small balls of dough onto a greased cookie sheet. Sprinkle with sugar and then flatten the dough balls with a fork. Bake for approximately 9 minutes. Whole Grain Peanut Butter Cookies hot from the oven!